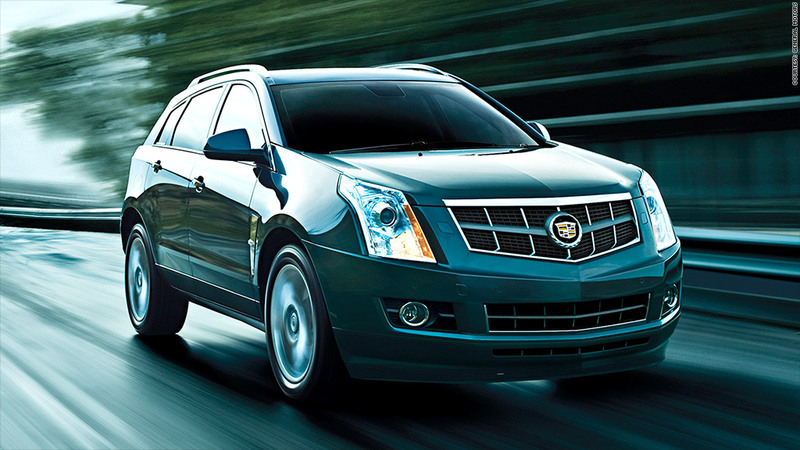 The Cadillac SRX is part of GM's latest recall. It also recalled a number of new pickup trucks due to a flaw with the airbags. General Motors told dealers to stop selling its 2015 Chevrolet Colorado and GMC Canyon mid-sized pickups on Friday. The trucks have only recently started rolling off assembly lines. GM says a wiring problem with the trucks' airbags could keep the airbags from deploying properly when needed. The trucks are so new that only few of them are currently in customers' possession, GM said in a statement. The vast majority are still at the factory and were about to be shipped to dealers. A few more are sitting on dealer lots. GM is currently working on new airbag software that should solve the problem. In the meantime, no new Canyons or Colorados will be sold. The automaker said it was unaware of any injuries or deaths caused by this problem. The new Chevrolet Colorado and GMC Canyon mark GM's re-entry into the market for smaller pickups, a vehicle type that most other automakers has abandoned. Earlier Friday, GM recalled 524,000 vehicles to deal with flaws tied to three accidents and two injuries. The problem in GM's morning recall can cause a part that holds the rear wheel in position to separate, which GM said can make the wheel wobble and cause a crash. The recall covers model year 2010 to 2015 Cadillac SRX and 2011 to 2012 Saab 9-4X SUVs. It also announced a second recall for a flaw that can cause a hood latch to stick in the open position on the 2013 to 2015 Chevrolet Spark. There are 524,000 vehicles covered in the two recalls, with most of them being in the wheel recall. On Thursday GM recalled 117,000 vehicles for an issue with an electronics module in the chasis that could cause them to stall or not start.